Mouthguards come in various different shapes and colors and other unique features. 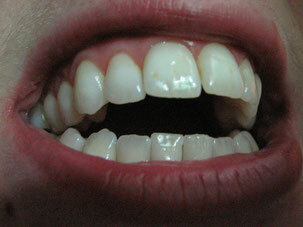 Most commonly they are used to guard the teeth as the name suggests. When indicated for jaw pain or headaches, mouthguards are designed a little differently so they can help alter the mechanics of the jaw muscles and the joint. The exact mechanism by which they improve so many jaw symptoms is not well known but it is thought that a strong mechanism of mouthguard could be behavior modification. This is especially important as several patients think that because mouthguards improved their symptoms do dramatically, there is a problem with their jaw alignment. There is very little to no scientific proof that jaw alignment is to be blamed for common TMJ symptoms. Do I need to see a TMJ specialist for a mouthguard? A short answer is NO. But it all depends on the symptoms and objective signs. A residency trained TMJ specialist is critical for diagnosing and if symptoms have been ongoing for more than a few weeks and not getting better, consultation with a TMJ specialist is definitely worthwhile. Our bite (Dental occlusion) is very dynamic and always adapting to the demands (functional demands, behavior demands, physiological demands of the surrounding tissues etc). The teeth and jaw bone structure is maintained in a harmonious position due to the force distribution between the maxilla and mandible and the relation of the upper and lower teeth allows the forces to be distributed in a specific pattern. Mouth-guards change the force distribution between the maxilla and mandible. When using a mouthguard, there is always a risk that the mouthguard will redirect the dynamic changes in the bite (could be a good change or bad). We see bite changes more commonly in patients who are between ages of 10-25 and in patients who have a history of orthodontic treatment. There are ways to minimize unwanted bite changes from these mouth-guards; the most important thing to do is to have your dentist or a TMJ specialist check the mouthguard at least 2-3 times a year.